Years of scientific research, hundreds of references and a thesis spanning over a hundred pages – Richard Kil crammed all this work into a speech about the length of a Taylor Swift single. Kil, a PhD candidate in the department of chemistry whose lab is at U of T Mississauga, placed second nationally in the Three Minute Thesis (3MT) competition, which challenges graduate students to explain their research to a lay audience in less than three minutes. In Kil's case, he’s designed what he calls a “simple, affordable and renewable” test using baker’s yeast to detect illnesses such as dengue virus and Chagas disease in the developing world. The test requires a single drop of blood and less than two hours to complete, he said. Kil joined the competition, which is organized by the Canadian Association for Graduate Studies, to fine-tune his pitch for future research grants or business partners. It was also a way of learning how to communicate complicated science to non-experts. 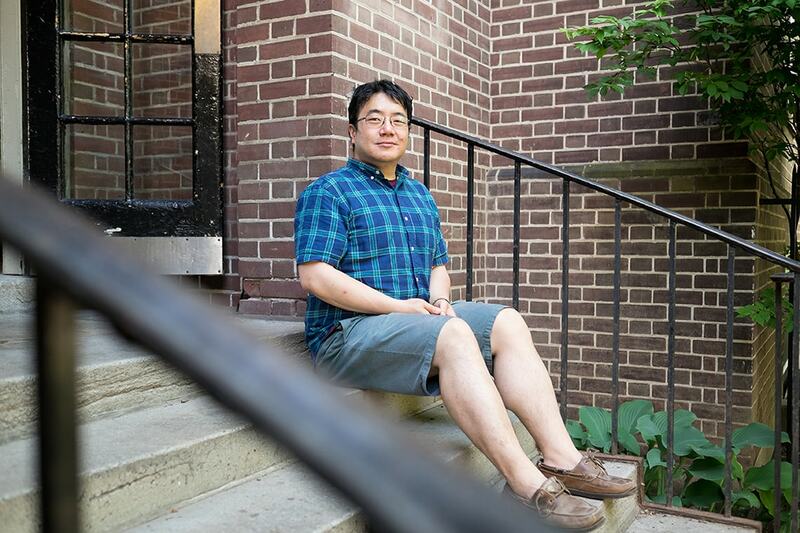 He stepped outside of his own rarefied field of expertise by describing his research to physicists, friends in law school and even strangers he met at a coffee shop or on the bus. When he saw a listener's eyes glaze over, he knew that was a section to cut. “You just selectively hack out large chunks of this script, until finally you have something everyone will understand,” he said. The road to the national competition went through heats at the University of Toronto, a university-wide final and provincials at the University of Waterloo in April. He won the provincials but finished second at nationals behind Shanthanu Krishna Kumar, a plant agriculture student from the University of Guelph. His doctoral studies was in synthetic biology, but he switched the focus to moleculary biology/medical diagnostics after receiving $100,000 Grand Challenges Canada grant for his research on the yeast test. The Canadian government grant supports projects that are meant to help people in poorer countries. Kil hopes that, with further research, the test can save lives in the developing world. For that to happen, he must first try it out in the field and ensure it is sufficiently accurate. So far, he has only used positive and negative control blood samples, sera in which specific antibodies are known to be present or absent. In theory, Kil says the test could be modified to detect other diseases in people or livestock. But the success of his project ultimately depends on communication, he observed.